Ladies, Valentine’s Day is just around the corner which means you have less than 3 weeks to start dropping gift hints! If your man is anything like mine, you’ll end up getting 12 bottles of hand soap if you don’t drop him a line (he also cooked me a honey dew one year thinking it was a spaghetti squash… but that’s another story). Why not point him in the right direction? It’s so easy by sharing this post with him. Hey Fellas, if you’re reading, listen up! 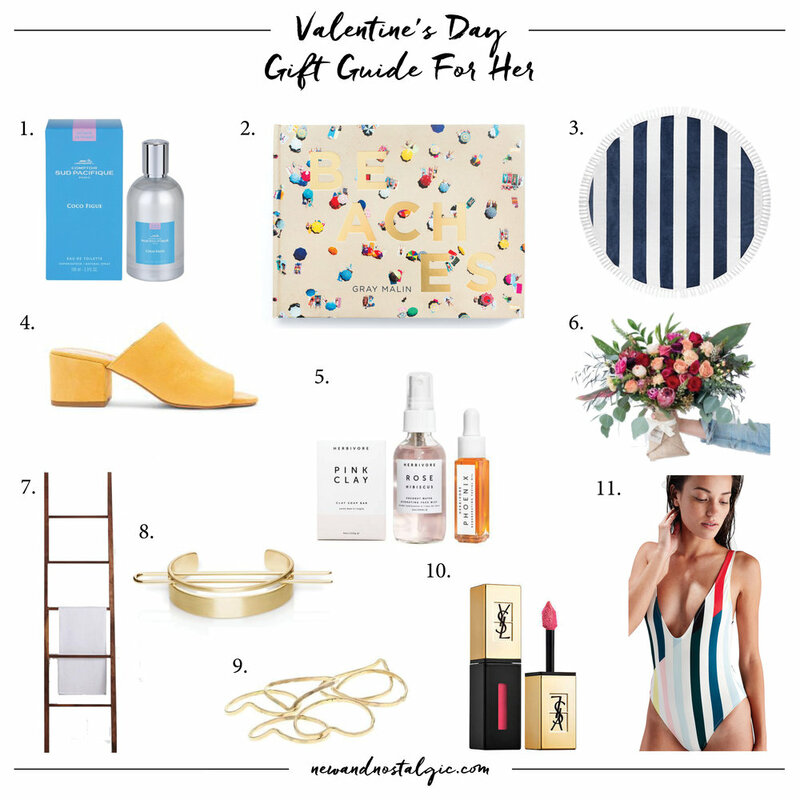 All of these gifts are sure to make your love swoon. From these adorably (and affordable) gold stacking rings to this dreamy striped bathing suit. Fresh flowers are always a timeless option, Farm Girl Flowers are my favorite! To make it real easy (psst, psst….Peter) I’ve rounded up my all-time favorites for you below. Pack up your ripped jeans, flannel and wayfarers and prepare yourself for an iconic trip along the historic Pacific Coast Highway. Check out this ultimate guide to the iconic California escape, Big Sur.